Ashley Schneider began her career with MPS CWS in August 2012 as a Prep Cook at Southwest High School and earned several promotions through the years. 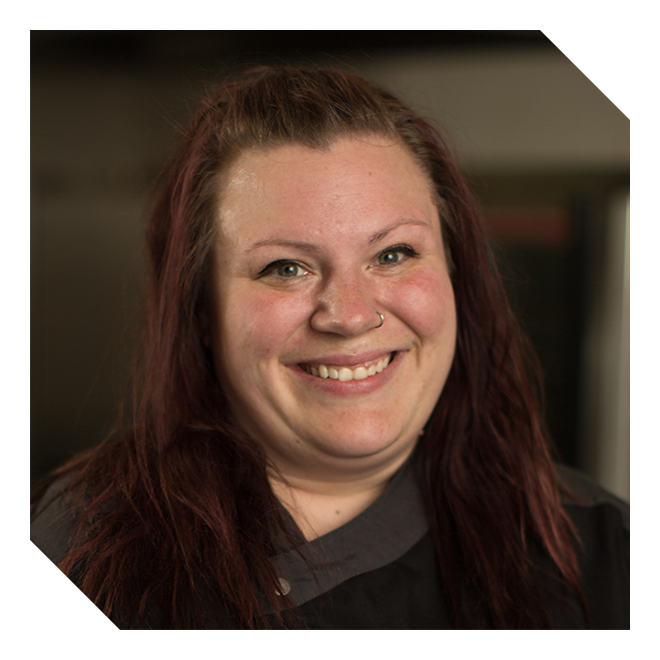 She currently holds the position of Site Supervisor at the Nutrition Center. Her responsibilities include managing thirteen school kitchens from the moment they open the kitchen doors in the morning until each kitchen door closes and everything in between. She recently received her Bachelor of Science in Food Service and Nutrition Management from Johnson & Wales University. Her favorite part of working for MPS CWS is getting to know all the wonderful children that we have in our district, listening to their stories, jokes, singing songs and creating a bond that will last a lifetime. It is such an honor to feed them healthy, nutritious and delicious meals every day.